While its remarkable rise has slowed somewhat in recent years, Japan still boasts the third largest economy in the world, behind the USA and China. This high-tech Asian nation, with a population of 127 million, is renowned for its strong work ethic and fascinating culture. As host country for both the Rugby World Cup 2019 and 2020 Olympics, many people from around the world will visit to marvel at Japan's wonderful gardens, be in awe of the traditional geisha dance and take time to sample its fine cuisine. By living and working in Japan, you'll immerse yourself in its unique way of life and gain experience of Japanese business. 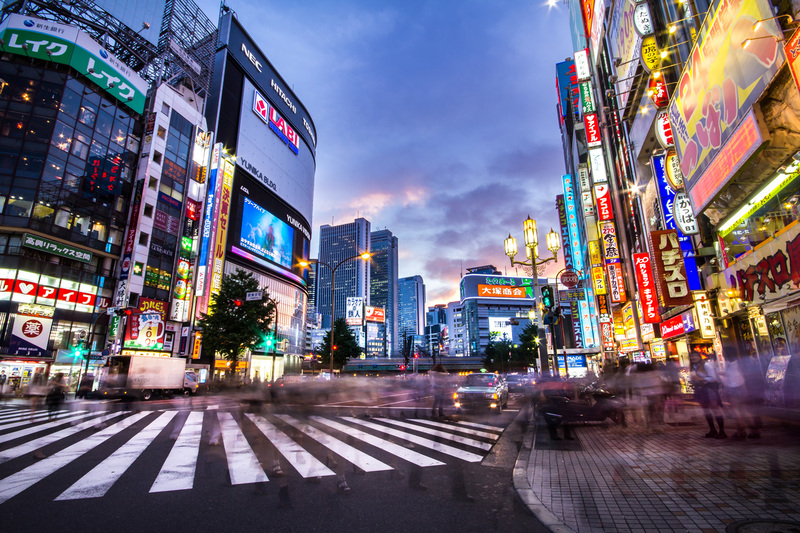 The cost of living is higher in major cities such as Tokyo - however, these popular urban areas often bring fellow overseas travellers together and help create a sense of community. Learning Japanese prior to arrival is certainly recommended, although you'll find opportunities to take courses that will get you up to speed. Getting around the country is simpler, thanks to a highly efficient and reasonably priced public transport system. During your free time you could catch the bullet train down to the volcanic island of Kyūshū, or travel north to the popular ski and snowboarding destination of Hokkaidō. In October 2018, the number of foreign workers in Japan had reached a record high of 1.46 million. However, this is still only a small proportion of Japan's population, with many of these people coming from neighbouring countries answering a call from the government to take up roles in key areas such as agriculture, construction and nursing. The majority of overseas workers from Europe will have been transferred from a multinational company in their own country that has a presence in Japan - such as Unilever, Ericsson and IBM. When looking for English-speaking jobs, these will mostly be based in Tokyo, the commercial centre of the country. You might also find work in Osaka, Kanagawa, Bin and Shinagawa. Teaching English as a foreign language (TEFL) is one of the main ways to secure employment in Japan. You'll need to secure employment before arriving in Japan. 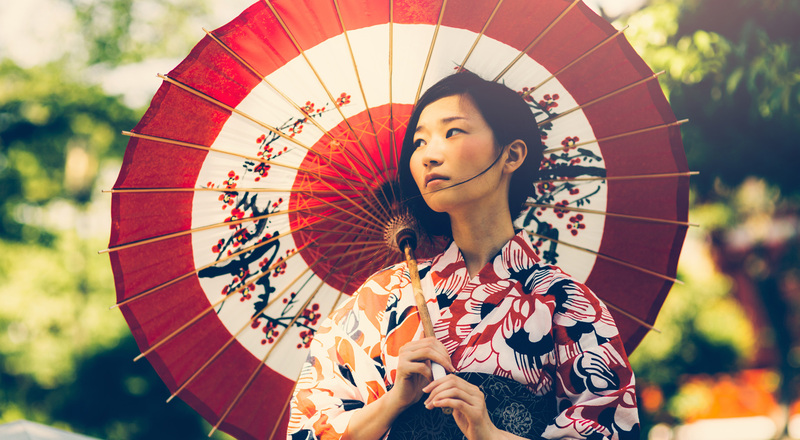 If you haven't been able to secure a secondment from a company in your own country, this means you'll almost certainly need to have a strong grasp of Japanese before applying for work. This is especially true if you're applying for permanent roles at Japanese companies - plenty of planning is required if this is your ambition. To apply for jobs, your CV should ideally be translated into Japanese. Be aware that it will take a different format than you may be used to. For example, a Japanese CV typically contains personal information - including age, gender and marital status - that UK employers would never ask for, due to privacy laws and equal opportunities. it's possible you'll be questioned by quite a large panel of native Japanese speakers. Japanese workers traditionally stay with the same company for most of their careers, and view their co-workers almost like family, so it's common for interviewers to interrogate you on your motivation for applying to work for them as well as your hobbies and interests. If you're unsuccessful, there are organisations available to help you find temporary work (and assistance in securing a one-year working holiday visa) in Japan. To be eligible for BUNAC's Work Japan programme, you'll need to be a UK or Irish passport holder, aged 18-30, and looking to work in Japan for up to 12 months. You'll get support in converting your CV into the native language and finding a job, as well as the opportunity to learn Japanese. If you're considering working in Japan for the summer (typically June-September), there's often a demand for foreign workers at holiday resorts. You could be employed in one of a variety of roles, including beach resort worker, sales assistant or summer camp leader. Alternatively, you could teach English in a school or find casual work in hospitality - especially in the large cities, where you could search for work in bars, restaurants and hotels. Volunteering is another option if you're interested in expanding your skillset while gaining valuable work and life experience. However, you'll need to save up to fund this type of trip. boobooSKI - representing various providers of ski and beach resort jobs, you could choose to work in Okinawa while enjoying the summer weather. Options are available from April to October. One World 365 - offers the chance for 18-30 year olds to work or volunteer in Japan during the summer, winter or for an entire year. Work & Travel Japan - if you can speak Japanese to intermediate level before you plan to travel, this summer scheme based in Okinawa is for those aged 18-30 from certain countries (including the UK) with resort jobs available such as housekeeper, café/restaurant staff and chef. English teaching jobs are one of the main sources of employment for native English speakers in Japan. Large urban areas such as Tokyo offer plenty of opportunities. For instance, you could work as a high school teacher or teach English at a private school. While you won't be expected to have a teaching degree, due to the competition for places you'll need to be a confident English speaker and ideally hold a recognised teaching English as a foreign language certificate such as TEFL or IELTS. Read more about these qualifications at teach English abroad. The Japanese government is keen to promote internships as a way for companies to benefit from the specialist skills and knowledge of foreign students. An internship gives you valuable experience of Japanese business practices and enhances your language and communication skills. Those enrolled at Japanese universities will find an increased number of opportunities during their spring and summer academic holidays, as well as after graduation. You can read more at Study In Japan - Internships. If you're based in a country within the European Union (EU), you can explore internships with Japanese businesses at the EU-Japan Centre for Industrial Cooperation. Absolute Internship - a summer internship programme based in Tokyo for English-speaking students and graduates, with employment options in areas including business development, finance and marketing. AIESEC UK - its Global Talent programme offers paid six to 12-month international internships for students and recent graduates. Go Overseas - browse internship programmes across Japan. IAESTE - for full-time science, engineering, technology and applied arts students working towards a Bachelors or Masters. These paid placements usually last for between eight and 12 weeks during the summer, but can be longer at other times of the year. Internship In Japan - this Tokyo-based provider organises business, creative and technical internships through a network of over 300 companies. These range from 3-4 weeks to 21-24 weeks at any time of year. You can also learn Japanese at its partner language school while you work. Internship Japan - a voluntary organisation helping those from overseas to secure internship opportunities in Japan. The Intern Group - a leading international internship provider with a programme in Tokyo for those who've completed their high school education, plus university students and graduates. If you're a British citizen, a visa is required before you can travel to work in Japan. However, the type of working visa you'll need will depend on the length of your stay and the nature of the employment you'll be undertaking. artist - photographer, artist, sculptor. business manager - director, owner. engineer/specialist in humanities/international services - copywriter, designer, foreign language teacher, IT engineer. instructor - high school teacher. intra-company transferee - worker from a global company with a Japanese branch. skilled labour - pilot, animal trainer, chef. journalist - editor, cameraperson, newspaper journalist. legal/accounting services - accountant, solicitor. medical services - nurse, dentist, physician. professor - university professor or assistant. religious activities – bishop, pastor, monk. researcher - investigator, institute researcher. technical intern training - technical intern. Before you can put forward a visa application, it's expected that you'll have first obtained a Certificate of Eligibility, issued by Japan's Ministry of Justice. Your sponsor (employer) should contact their local immigration office and make the application on your behalf. an original and a photocopy of the Certificate of Eligibility. The turnaround time on processing a visa is normally four working days, but the Certificate of Eligibility will expire three months after the date it was issued. For more information on applying for Japanese working visas, see the Embassy of Japan in the UK. As it's mainly just multinational businesses that advertise English-speaking jobs in Japan, to work for a traditional Japanese company, you'll likely need to demonstrate fluency in Japanese in order to be offered a job. Learning the language will also help with embracing the Japanese culture. In large cities such as Tokyo, Osaka and Kyoto, you should be able to get by if you don't speak the language - however, with English fluency rates in the country being so low it's worth taking some lessons at home before you take up a job offer. Japanese can be one of the most difficult languages for native English speakers, so you'll need to dedicate time and effort into getting to grips with the pronunciation challenges you're faced with. If you plan to pick it up while you're living in the country, you'll find language schools in most major cities - for example GenkiJACS, which is based in Tokyo and Fukuoka. UK qualifications are widely recognised throughout the world, including Japan, but it's advisable to check with employers before applying for jobs. For information on the recognition of qualifications in Japan, see ENIC-NARIC - Japan. The Japanese management style is based around group harmony, with open-plan office spaces quite common. In this promotion culture, firmly rooted in a system of seniority, the quantity of hours worked is highly important. While Japanese labour law stipulates a maximum of 40 hours per week (eight hours per day), in reality, employees of a traditional Japanese company may work up to 12 hours a day, with any overtime unpaid. Even then, it's socially acceptable to go for after work drinks with colleagues. Foreign workers are not expected (or pressured) to follow suit in working these longer hours. Japanese nationals often start at 9am and remain in the office until 6-7pm, usually once their manager/supervisor leaves. However, the government is attempting to change the demands of Japanese working culture by encouraging an early finish on the last working Friday of each month and implementing other measures to increase efficiency and ensure a greater work-life balance. With a five-day working week of Monday to Friday, the daily rush hours in busy cities are usually 7-9am and 5-8pm. At these times, public transport will be crowded. Holiday entitlement in Japan is relatively low and usually relates to the length of employment. Workers are entitled to a minimum of 10 days paid holiday each year, with an average of 18.5 days - although very few employees take up their full allocation. There are also 16 public holidays, which often fall either side of a Saturday or Sunday. If you're looking to take up a position with a Japanese firm, your holiday entitlement should be clearly stated in your contract. Discover what it's like to study in Japan. For the latest travel advice, see GOV.UK - Japan. Find useful information on living in Japan at Japan-guide.com.